Mulching is a great way to keep your trees in good shape. That is when it’s done correctly. Mulch is applied at the base of the plants or trees. Too much of it can result in tree damage so you need to be careful about the amount you’re applying. After all, when you take the time and effort to care for your trees, you don’t want to see them unhealthy in the end. What is Mulch Made Up Of? Mulch can be made from organic or inorganic material. Organic mulch is from natural materials such as wood chips, grass clippings, compost, manure, and leaves. Organic mulch needs to be reapplied as they decompose but they can help provide your trees with nutrients they need. Inorganic mulch, on the other hand, can be made from plastic sheeting, rock or gravel, recycled tires, and other manmade materials such as landscaping fabrics. The advantage of inorganic mulch is that it does not need to be topped off. However, some types block air, water, and nutrients from reaching the soil. Deciding which one to use between organic or inorganic mulch depends on the type of plants you have, your aesthetic preferences, and any concerns you may have regarding cost and maintenance. Do not over mulch. Mulching is good, but only when you’re applying appropriate amounts. When there is too much mulch, oxygen may not be able to reach the soil resulting in root suffocation. Ensure to keep mulch a few inches away from the crown. Avoid volcano mulching. As the term suggests, volcano mulching is applying mulch in such a way that it looks like a volcano – building up near the tree trunks. This method can be harmful to your plants. You may not see its effects right away but over time, it can cause decay and fungus to develop at the base of the trunks. Tree roots may also suffocate due to lack of air. Apply mulch in a flattened donut approach. Rather than building up mulch near the tree trunk, be sure there’s plenty of space around it. This will allow the root of the tree to breathe. Replenish mulch. If you’re using organic mulch, be sure to top it off once it decomposes. Though you may have to reapply again, seeing your mulch decompose means that your trees have absorbed nutrients from it. Stir up mulch once it gets clumpy. After the snow season, your mulch can become clumpy. Be sure to break it off by hand or using a rake. This will help air to flow freely and also improve your home’s curb appeal. 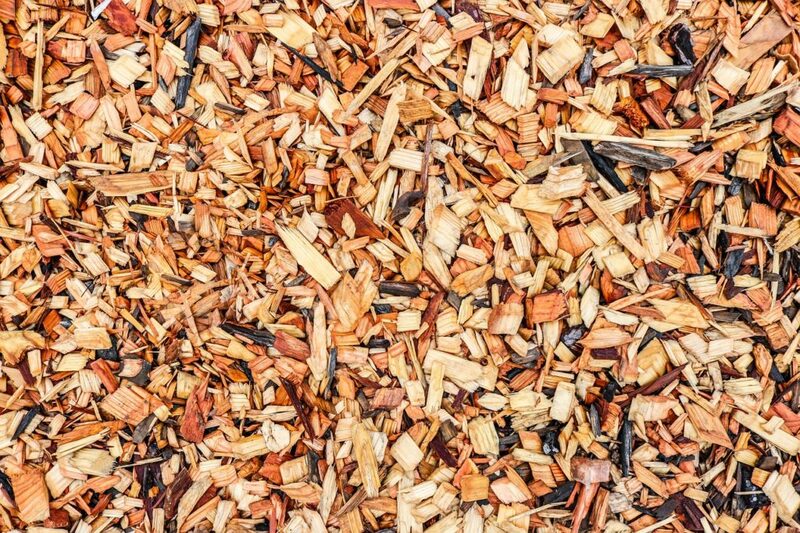 Here at North Star Tree Service, we offer free wood chip mulch to homeowners across our service areas. If you need mulch, call us at (678) 562-1068, let us know your location, and we’ll see if we can have the mulch delivered to you. Looking for a certified arborist in Metro Atlanta GA to care for your trees? Contact us at North Star Tree Service today.